5/10 on the military guy. I can’t say I’m either one. I resonate with this meme on a spiritual level. 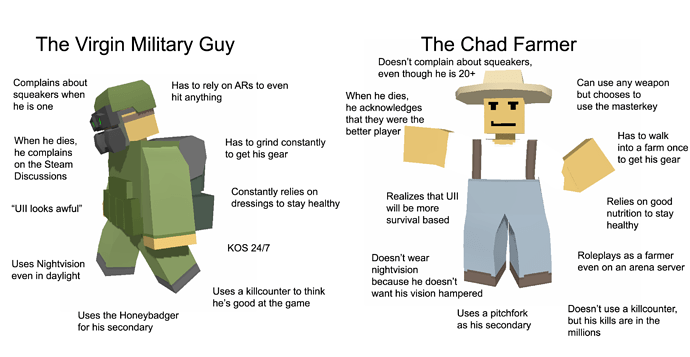 i’m kinda edging towards the farmer, when i play on creative servers i like to use crap stuff (e.g snayperskya, makeshift armor, civi clothing) as a sort of reverse psychology so that players “refrain” from shooting me.